Once your family and employees enjoy the crisp, clean taste of one of our bottled waters, you won’t want to run out. Choose a method that works best for you, either our delivery option or pick it up yourself from one of our many pick up locations. Our bottles have easy-to-grasp handles for almost effortless lifting and carrying. All of our water bottles are reusable and refillable - up to 50 times! Most of these big water bottles are recycled at the end of their life cycle and may be used to make other items. 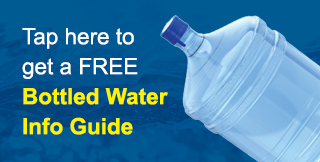 For these reasons, you won’t typically find large bottled water containers in landfills. Our Reverse Osmosis (RO) process consists of 6 stages. • Removes calcium, magnesium and heavy metals. • A high capacity sediment filter for the removal of extremely small particles of iron, clay, dust, mold, pollen, sand and organic debris. • The pretreated water is then forced through the semi-permeable membrane. Particles 1/100,000 of a micron are removed. This is equivalent to a particle that is smaller than one millionth the diameter of a human hair. • Kills bacteria, parasites and viruses. • This is the final step in ensuring top quality taste and purity. This process is done by means of injecting ozone into the water. Ozone over several hours reverts to pure oxygen ensuring bacteria free water. Located near Valemount B.C., our spring water is sourced from a natural underground spring, sealed in solid granite and 300 feet below the earth's surface. 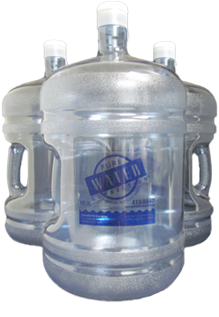 This natural spring water has no impurities or chemicals, just pure clean water. Monashee Spring Water is naturally balanced, having a pH slightly above 7 and a balanced mineralogical analysis. Monashee Springs maintains a constant flow of 100 gallons per minute, assuring a consistent and true source. 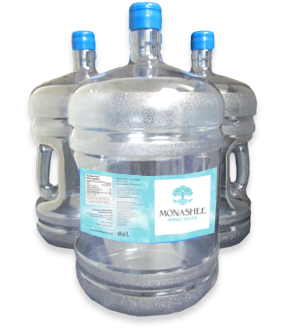 Monashee Spring Water is a pure, clean and healthy spring water that is low in Total Dissolved Solids (chemical analysis is available upon request). Our water is not chemically treated in any way and the location and unique geological environment of our source ensures consistently pure water.